This is an amazing product review from Donna Morrow. She has suffered from type 1 diabetes for over 54 years. Listen in as she shares the amazing benefits she has experienced with Prodovite! 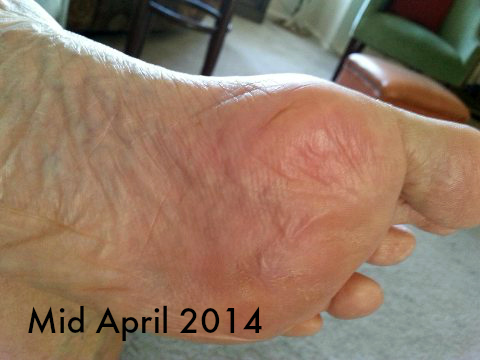 It all started July 2012 with a callus that formed on the bottom of my left foot from walking. 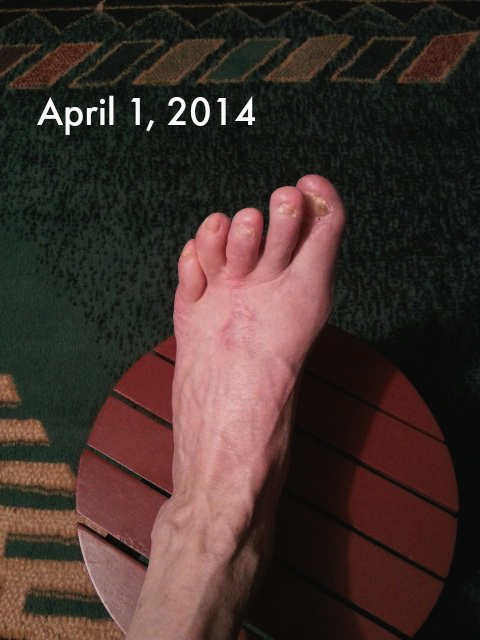 My podiatrist cautiously shaved it down but by early December 2012 a small wound opened up which was the beginning of months of serious medical care and threats of amputation. Through that lesion, an infection entered which turned out to be Streptococcus. In a few days the bacteria traveled from the sole of my foot and erupted out the top surface as a huge abscess! My entire foot was swollen and very red. Fortunately I was admitted to a large medical center that had all of my medical records. I was in isolation (ICU) when the infection came to a head (in my foot) and spread throughout my entire body. The blood work which was taken at the time of admission and the following weeks revealed that I was malnourished – shocking to me. After ten days in the hospital, I was discharged, although weak and with an antibiotic PICC line in my arm. Tests revealed the infection had gone into my bone, causing osteomyelitis. Visiting nurses came often. Initially, I did not have to dress the wound and did not want to see it or take pictures. The looks on their faces was enough. The photographs submitted were near the end of January 2013 when my podiatrist/surgeon said it would not heal unless they put grafts on them. I actually had three different grafts done on the top of the foot and one on the bottom. The doctors told me not to walk on that foot which is difficult in a three story house and constant trips to the medical center. Water was not permitted to touch the wounds for months. 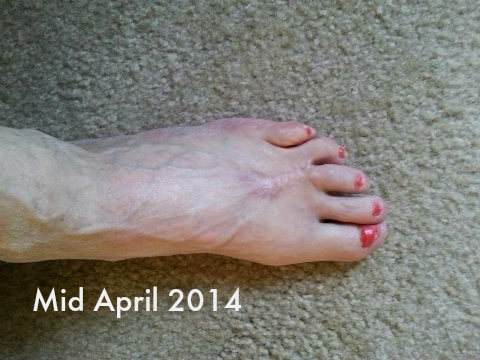 While antibiotics continued for ten weeks I was still being warned that I could lose my foot. Having type 1 brittle Diabetes for 54 years is the cause of my poor circulation and peripheral nerve damage even though generally my blood sugars are fairly well managed. The hyperbaric oxygen chamber treatments were done to push 100% oxygen into the cells of my foot. During the process my eardrum membranes were ruptured by the high pressure. 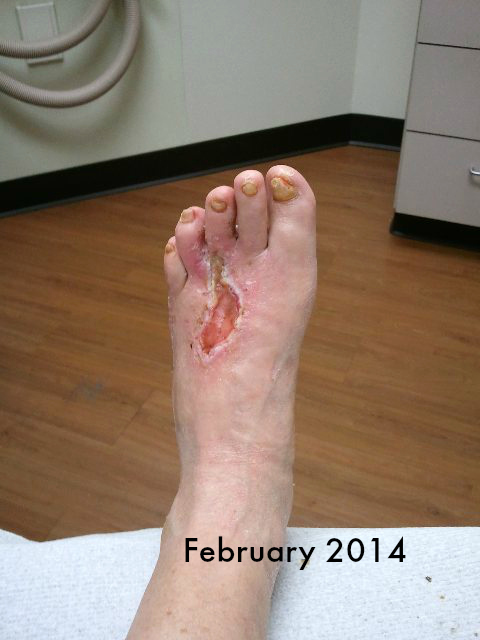 After 60 treatments the foot wounds still were not closed even though there was measured improvement. Bill Downs has shared that my body may not have been able to uptake the needed oxygen they provided me. That brings us to approximately January of 2014. Dr. Pat Salvitti had been telling me about the precursor to Prodovite which at that time was not affordable for me after being out of work for so long.